Windows can be easily customized Using Skins for windows 8, Mac OS X has updated thier operating system called Mavericks, which has best User Interface and great Looks. If you are having Windows 8 OS running on your System. 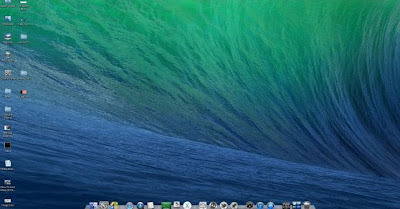 Then Today I will show you how to change your Windows UI toMac Operating System OS X Mavericks. So your Windows 8 machine will Look Like Mac OS X Mavericks using Mavericks skin pack. Download Mavericks and Install it on your Windows 8 Machine. It Just transformation pack of Mavericks for Windows .